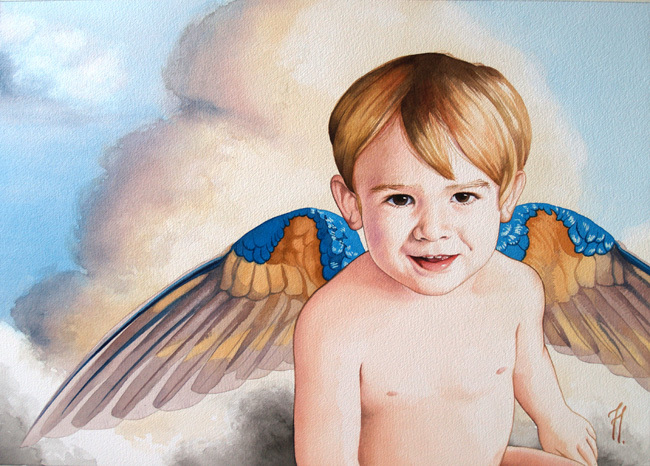 Retrato de ángel colibrí, acuarela 62 x 45 cm. Portrait of angel hummingbird, watercolor 62 x45 cm. Retrato de hada mariposa – Portrait of fairy butterfly.